The Turbo Grip Strips 1" are inserted into the thumb and finger holes to help adjust fit due to shrinking and swelling. The strips have a unique textured surface to enhance the grip of your bowling ball. Can you tell me the difference between the colors of Turbo grip strips? Hello! The Grip Strips are offered in several colors to allow for choice. There are other Turbo tapes that will offer different functions, but this particular tape is for grip. 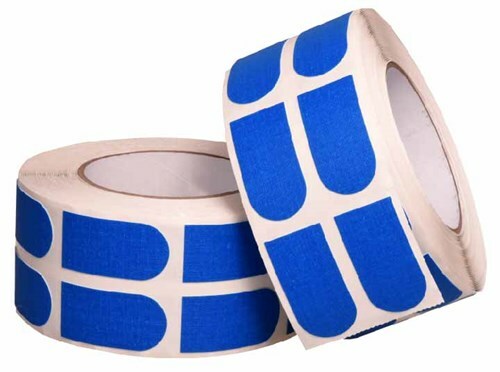 Due to the time it takes to produce the Turbo Grip Strips 1" Blue Tape 500/Roll ball it will ship in immediately. We cannot ship this ball outside the United States.